Leaving aside for the moment the impossibly complicated question of the ‘soul’, what parts of the human body can we replicate? The circulatory system? Why not! It’s really just an intricate series of tubes running throughout the body, and should be replicable. The Heart? We don’t see why it can’t be for the same reasons. Bones and other organs? Again, from what we’ve seen there doesn’t seem to be anything stopping researchers and technology from printing them. The only thing we’d be skeptical about is the brain, but considering the strides made in the field of artificial intelligence even that’s not impossible. So…where does this leave us? It leaves us at virtually the same place we were when questions of cloning individuals arose, a debate that transcends life on earth and draws out the best and worst of us all. We won’t venture into those questions here on this blog, but we can’t help but see a not-too-distant future where 3D printing is front and center on the world’s stage because of this very potential. We will ask the question though…where would you stand on the issue if it ever arose? I do not believe it is a case of if we clone a “replacement” body, we’re always 3 degrees shy of going all BladeRunner and if people today could for the lack of a better term, possibly download their brain into a new body, or imagine a “start over” body for those whose weight gain or illness got out of control. One thing we as humans do not do is leave well enough alone. There is the saying that “Just because we can does not mean we should”… we know that saying, yet routinely ignore it. Thanks Feliciano! We just have a feeling that the debate is coming. 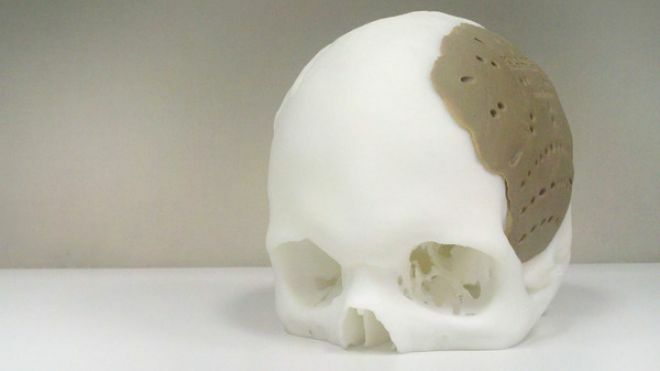 The rate of technological advance in 3D printing is just so fast. Thanks for the comment! I would like to see you have the resolving power to 3D print neurons reliably, because for all the auto-masturbatory (And yes I will say this in honesty) views towards a futurist world of open source 3D printers being spewed out these days on the internet I need replacement braincells for the ones that have been killed off by this. You’re talking about ±30-100 micron accuracy on one axis (.03-.10mm / .01-0.04″) on 3D printers trying to accurately produce details of the human body such as the alveoli (They’re smaller than 300 micron) in your lungs. This ignores how certain features in the human body would not be happy with the layer-like texture of said 3D printed body parts. Or the selective weakness to shearing in perpendicular axises. Or how you would even need post processing to smooth out the surface and make it stronger by producing a skin layer of material that provides structural strength. Ignoring that, there’s the various 3D technologies, the closest to being able to produce the structural tissue found in organs is based off inkjet technology and not FDM (The analogous “hot glue gun” plastic extruders) nor are they the high resolution, metal and plastic powder capable SLS (Selective laser sintering) or EBM (Electron beam melting) systems. And that skull? The plastic use, PEEK, in that application would be sintered. For reference hobbyist FDM systems actually use PEEK as an insulator for the nozzle. …Ah right, you should probably ask one of Intel’s or GlobalFoundries engineers to 3D print a processor, that might solve some the neuron problem but I am sure you’re going to cause a few to get driven to suicide. Better yet, 3D print a selective laser sintering machine. I am sure we can do away with most of the world industries involved with actually making a lot of the vital, important components for them. Like glass companies. 3D print some high accuracy optics and we can start talking about that too. Oh and do this for less (In every possible way, cost, manhours, manpower, material cost, etc) than existing fabrication process techniques today and we’ll really get started on this whole talking part. This could be important too. Real important. Just like 3D printing the cloned humans that will be at the centerstage of all your research, development and production of all of this too. If not, just 3D print a bucket with the embossed letters “Futurist Fap” on the side. I’m sure that there will be someone who loves 3D printing to fill that up.